Posted December 9th, 2015 by admin & filed under Hand/Wrist. What can you expect during your 1st hand therapy visit? 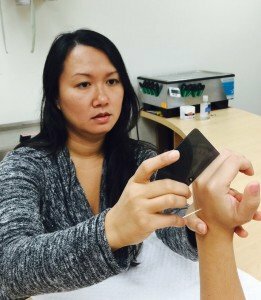 As the certified hand therapist here in Miami, I have been noticing more lately than ever before a delay in people coming into therapy after getting hurt or after surgery. There are a lot of reasons like money or if it’s a worker’s compensation case, but mostly I think it is people are afraid of what the first hand therapy session would be like. Especially after surgery. On the 1st visit to the therapy clinic, your occupational therapist or physical therapy needs to get a history of what happened to you! Did you have testing like x-rays, MRI, or CT scans? Do you have any past medical history that affects this injury? The more information about the nature of the injury, the better your therapist can help you. 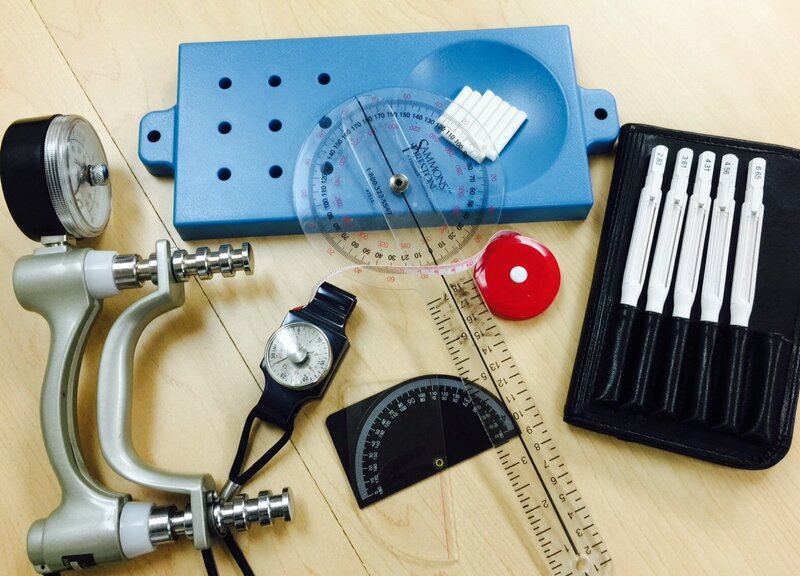 After getting the initial information, comes the part where the injured body part gets measured. We use tools like a goniometer to measure how many degrees you can move, tape measure to measure the swelling, dynamometer to measure your grip strength, and other test that can measure sensation and fine motor coordination. There are tests that test how strong your muscles are, provocative tests that can sometimes hurt because they are trying to rule out what is hurt and what is not in order to plan the best plan of care for you. Sometimes there is so poking around in your painful muscles or joints, pushing or pulling on those joints to test if any tendons or ligaments are effected. These may not feel so great but completely necessary. These test are done to confirm the diagnosis that your doctor prescribed but also to see if there are any other factors that are causing the problem. Direct access a relatively new catch phrase that you may be hearing encouraging people seek out occupational/physical therapy services without the prescription of the doctor. The initial evaluation is then crucial to make sure your therapist is treating you the correct way and also allows them to know if you need to be referred to the doctor right away. Do you still have your post-operative dressing on? If yes, then your therapist can help you even sooner! In my case as the hand therapist in Miami, time is the essence. When it comes surgery of the hand more so then the wrist, elbow, or shoulder, any delay can make the recovery process more difficult. A lot of my patients actually tell me that they think since they have the stitches or the incision is still “open” that they should wait, even when their doctor refers them to hand therapy right away. 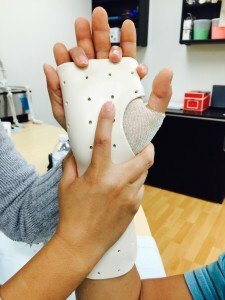 The post-op dressings need to be removed, sometimes a custom fitted orthosis (formerly known as a splint) needs to be made to place the injured part in the best position for healing and motion, and the wounds can be cleaned. what to do or not to do to protect the surgery. As part of the evaluation, your therapist should talk to you about your goals in therapy –what you want out of therapy. They should also talk to you about what is realistic, the protocol, process of therapy and develop with you the plan of care. This discussion period is really important and you need to make sure your voice is heard in this. If you are limited in time, money, or anything at all, discuss with your therapist. It’s not realistic if your doctor writes 3 times a week but you don’t have the time or the money to attend therapy. I always develop a plan with my patients because I want the best results. Now, I always issue a home exercise program regardless of how often someone comes to therapy. But is really even more important if it is a severe case and I actually recommend higher frequency but they just can’t come that often. That is pretty much what to expect during your 1st visit to an occupational/physical therapy clinic. Do you have questions? Please leave me a comment or give me a call. 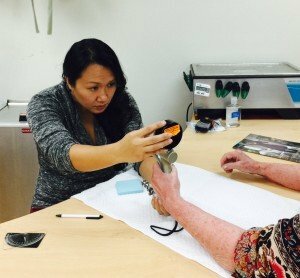 We are a hand therapy clinic located in the center of Miami. Don’t be scared!! It really is not as bad as you think! We make it fun and informative. Thanks for any other informative web site. Where else may I am getting that kind of info written in such a perfect means? I have a challenge that I am simply now operating on, and I have been at the look out for such information. Thank you! Please sign up for our newsletter or follow us on social media.